Prosecutors investigating a sexual abuse case against a Houston-area priest searched the offices Wednesday of the local archdiocese, which is led by the cardinal who is heading the Roman Catholic Church's response in the U.S. to sexual misconduct. Both victims have told The Associated Press that they met with DiNardo but felt he didn't take their complaints about La Rosa-Lopez seriously. Montgomery County District Attorney Brett Ligon, whose office conducted the search Wednesday, said authorities were looking for employment records and disciplinary records related to La Rosa-Lopez, along with anything that might lead to the discovery of other potential crimes. Officers from the Texas Department of Public Safety and federal agencies joined the search, Ligon said. "This is not a search warrant against the Catholic Church," Ligon said, adding: "We're going to go wherever the investigation requires us to go." The archdiocese issued a statement saying it was fully cooperating with the investigation. It acknowledged holding "confidential documents kept in a secure manner for the protection of the privacy of individuals." La Rosa-Lopez's attorney, Wendell Odom, said the priest has denied the sexual abuse allegations. Odom questioned why prosecutors conducted an on-site search instead of requesting documents through a subpoena, calling it "a little bit alarming." That accuser told the AP in September that he felt DiNardo was dismissive and said, "You should have told us sooner." DiNardo's column did not address the allegations of the other accuser, a woman now in her 30s who told AP she met with DiNardo shortly after discovering in 2010 that La Rosa-Lopez had become the archdiocese's vicar for Hispanic ministry -- a position he held at the time of his arrest eight years later. The AP typically doesn't identify victims in sexual abuse cases and is withholding the names of both accusers. 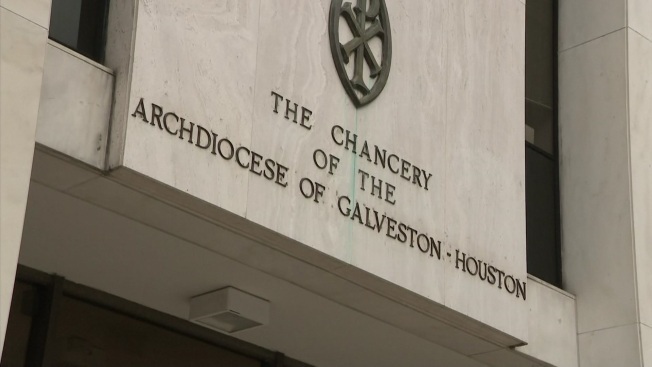 Michael Norris, head of the Houston chapter of the Survivors Network of those Abused by Priests, said the documents seized Wednesday could be crucial to understanding the archdiocese's handling of La Rosa-Lopez's case over two decades. "This is going to force DiNardo to be truly transparent," Norris said. "Now we're going to know everything."